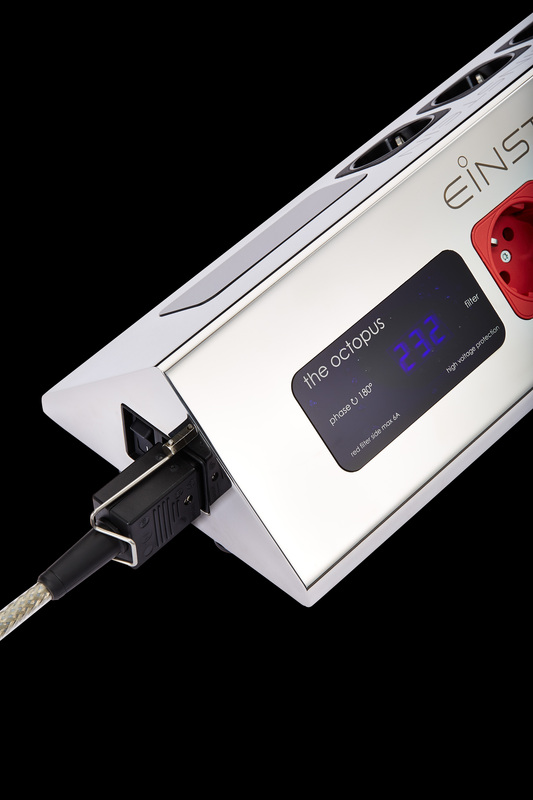 Einstein Audio introduces The Octopus Ultimate Power Bar. Priced around 1880 EUR. 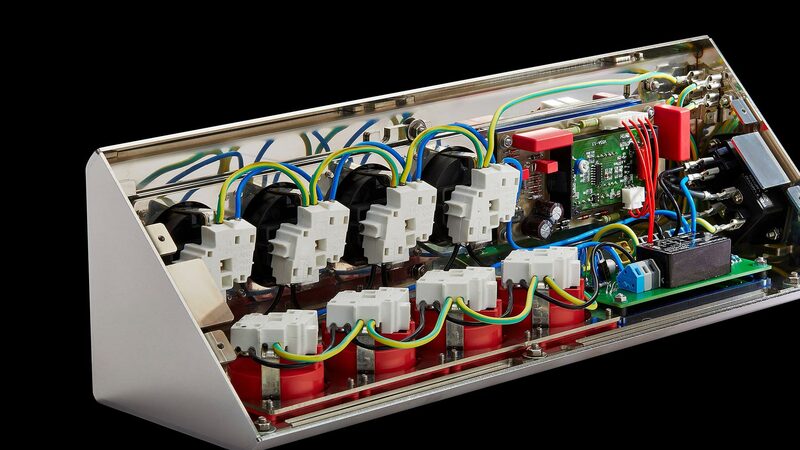 The terminals offer on the one side, four unfiltered inlets and on the other (red) side an RF filter, which effectively suppresses the feedback of digital devices to the network. 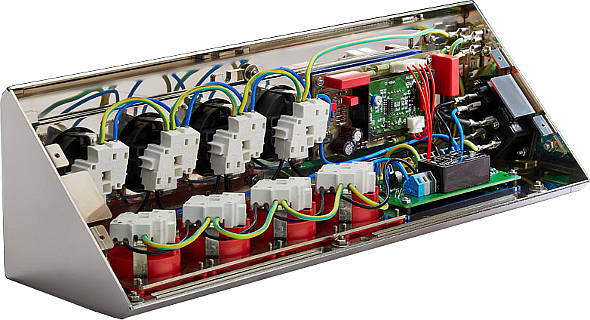 Each connector features an overload protection, the applied voltage is displayed and it can be displayed pollution potential DC voltage in the network. The Octopus Ultimate Power Bar is befitting in a wooden box and will cost 1990 euros. 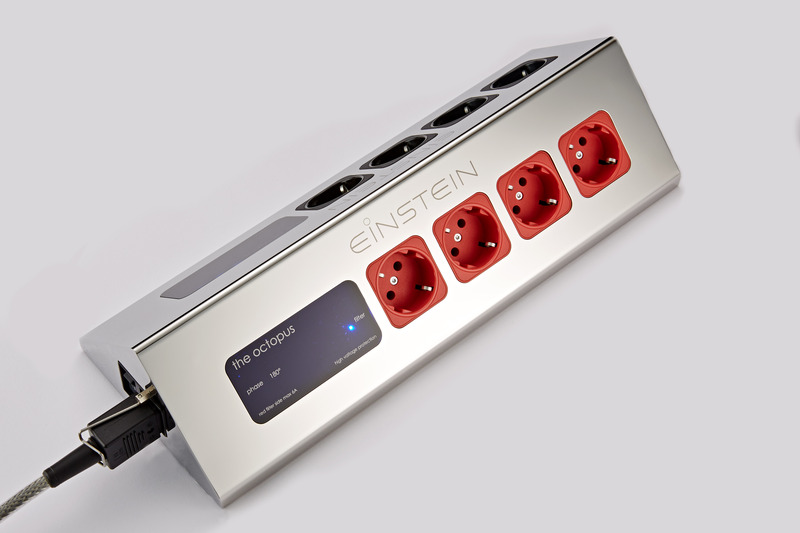 Einstein’s The Octopus ultimate power strip is classically simple and elegant looking, while functional – in typical Einstein style. The new case is made of solid stainless steel and sets absolute standards in build quality and mechanical stability. It is impossible to make a better or more perfect component case. To satisfy not only the optical but also the technical quest for perfection we put a lot of effort in the internal quality.